With nearly 16,000 km (10,000 miles) of coastline, it’s almost impossible to escape the sea in New Zealand. But with stunning bays and islands, sheltered harbours, mountain fiords and lakes, who would want to avoid it? Sailing around New Zealand's endless coast and looking back to the land from the water, puts an entirely new perspective on the landscape. 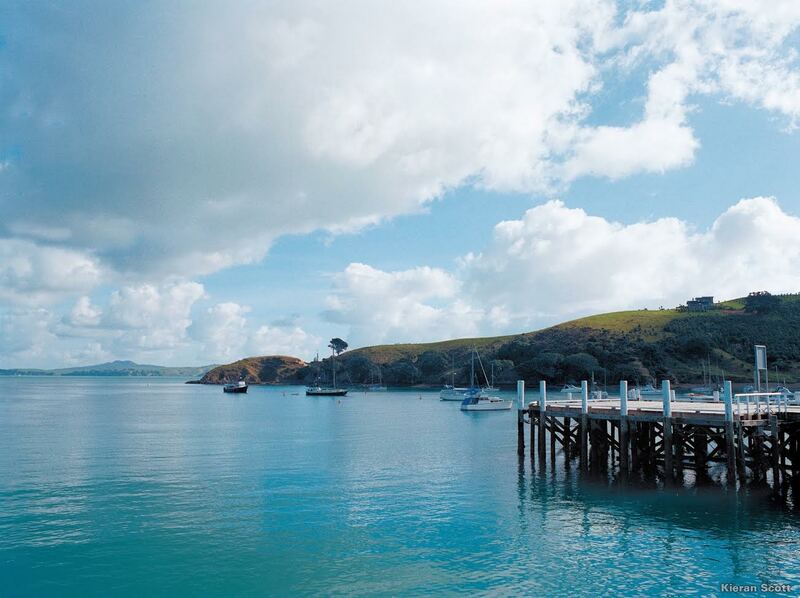 The maritime reserves in the Bay of Islands, the Hauraki Gulf and Marlborough Sounds are among the most beautiful cruising spots in the world. Fiordland, on the southern west coast, with its deep fiords and glacial lakes is one of the most unique sailing venues on the planet. An idyllic group of 144 islands in the semi-tropical northern North Island, the Bay of Islands is rated as one of the world’s best cruising spots. It’s usually the first port of call for hundreds of yachts dropping down from the tropics in the cyclone season. Secluded white-sand beaches are everywhere, and seafood — snapper, John Dory, mussels and kina (sea eggs) — is plentiful. It’s also famed for its big game fishing - American novelist Zane Grey dubbed these waters ‘the angler’s El Dorado’. 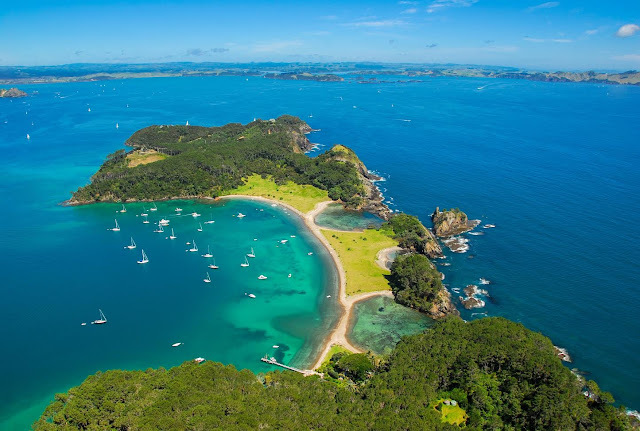 Every year, competitive yachters sail from Auckland to Russell, the ‘capital’ of the Bay of Islands, in the country’s most popular inshore race, the 120-mile Coastal Classic. 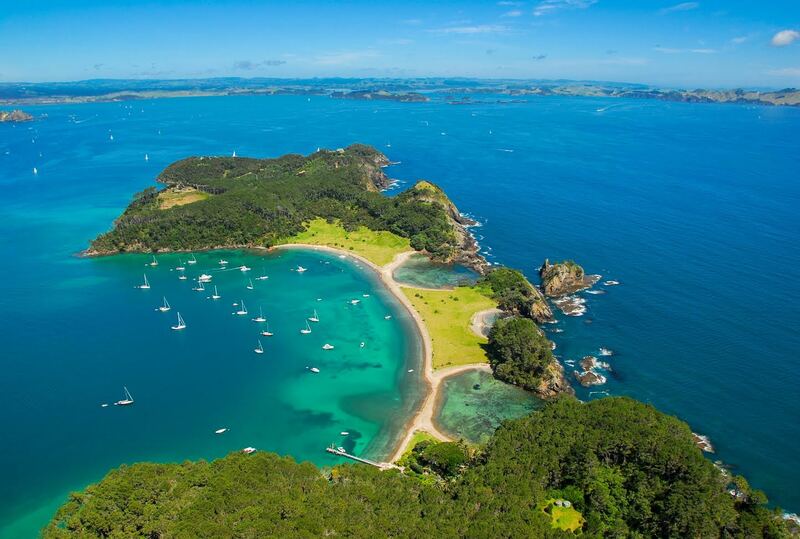 Visitors are awestruck to find a maritime paradise such as the Hauraki Gulf (on Auckland’s eastern border) so close to a major city. To the other side, the rugged west coast is the ideal spot for surfing, kite-boarding and land yachting. There are 47 islands dotted around the Hauraki Gulf Maritime Park — some like Waiheke and the volcanic peak of Rangitoto — less than an hour away under sail. Other islands, like Tiritiri Matangi and Little Barrier, are refuges for rare and endangered wildlife. Dolphins, whales, orca and blue penguins can be seen playing in the sparkling waters of the Gulf. Great Barrier Island, with its peaceful sandy beaches, is a dark sky sanctuary by night. Auckland is known the world over as the 'city of sails' and white sailcloth is always on show in its unique dual harbour situation - the city is sandwiched on a narrow isthmus between the Manukau and the Waitemata harbours. Visitors can even sail on two former America’s Cup yachts, NZL40 and NZL41. The Volvo Ocean Race — the world's premier offshore sailing event — has also made Auckland a vital port-of-call during its global circumnavigation. The Volvo last stopped over in Auckland in 2015, and will do so again in 2018. In 2014, it was the halfway stopover port for the grueling, round-the-world Global Ocean Race. Wellington holds the distinction of being one of the windiest cities in the world, giving it a special attraction for sailors. New Zealand's capital city sits in a ‘river of wind’, with the Cook Strait between the North and South islands creating a wind corridor that sweeps into its harbour. The capital city’s wide and deep harbour enfolds many bays that are perfect for dinghy and board sailing, and it is home to 13 yacht clubs. Wellington has also been a stopover in the Volvo Ocean Race as the fleet sailed through Cook Strait on the way to the Southern Ocean. With its sunny climate and tendency for warm afternoon sea breezes, the Nelson Tasman coastal region is a Kiwi sailing mecca. Tasman Bay is famed as the place where Dutch explorer Abel Tasman in 1642 first sighted the land of New Zealand. Tasman was chased away by the formidable local Maori population but these days there's a friendly welcome for sailors exploring the gentle coastline of temperate beaches with a snow-capped alpine backdrop. Abel Tasman National Park is a beautiful coastal destination for relaxed holiday sailing: charter a yacht - with or without crew - and explore golden beaches, secluded island coves and azure blue waters, home to seals, dolphins, seabirds and occasional orca. It’s been called one of the world’s best-kept maritime secrets. The Marlborough Sounds, at the top of the South Island, is a labyrinth of islands, bays, coves and waterways fringed by native forest. A collection of drowned river valleys, the Marlborough Sounds is a sanctuary for some of New Zealand’s endangered wildlife - South Island robins, fur seals and the Hector’s, dusky and bottlenose dolphins. The wreckage of the Russian cruise ship Mikhail Lermontov has become an artificial reef perfect for divers. Fiordland, in the south-west corner of the South Island, is like nowhere else in New Zealand, a World Heritage Site with inlets from the Tasman Sea running into unspoilt, primeval forest and lakes gouged out by huge glaciers. In Milford Sound, described by Rudyard Kipling as the ‘Eighth wonder of the world’, mountains rise out of the water, and boats can sail under huge rock overhangs and cascading waterfalls. 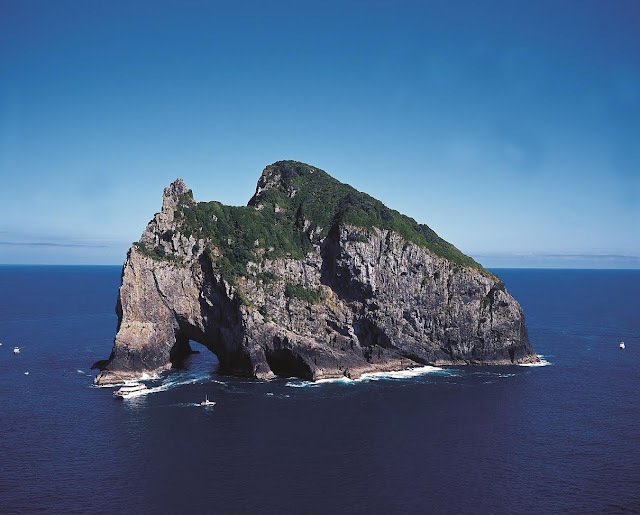 Doubtful Sound is the deepest of the fiords (421m) and a haven for bottlenose dolphins, fur seals and crested penguins. Just over the mountain pass on the way to Milford Sound, Lake Te Anau is the country’s second largest lake. Airline connections: Connecting flights to New Zealand are available on Singapore Airlines/Air New Zealand, Thai Airways, Cathay Pacific and Malaysia Airlines with stop-overs in their respective hubs. New Zealand’s international gateways are Auckland, Wellington, Christchurch and Queenstown. Domestic services: You can fly between all New Zealand cities and most major towns using domestic air services. Air New Zealand and Jetstar are the main providers. 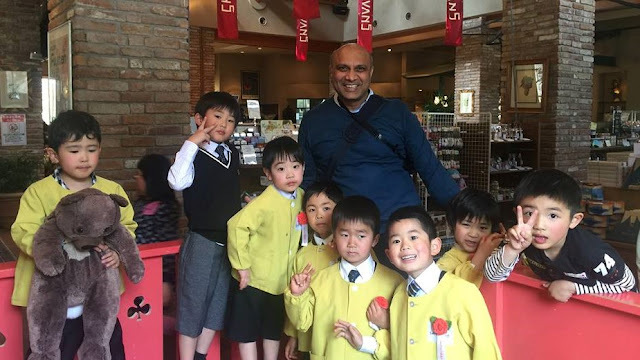 Their services are complemented by regional airlines, charter companies and scenic flight operators.